Noted for its slightly salty flavour, superb slicing and texture and its tenderness. 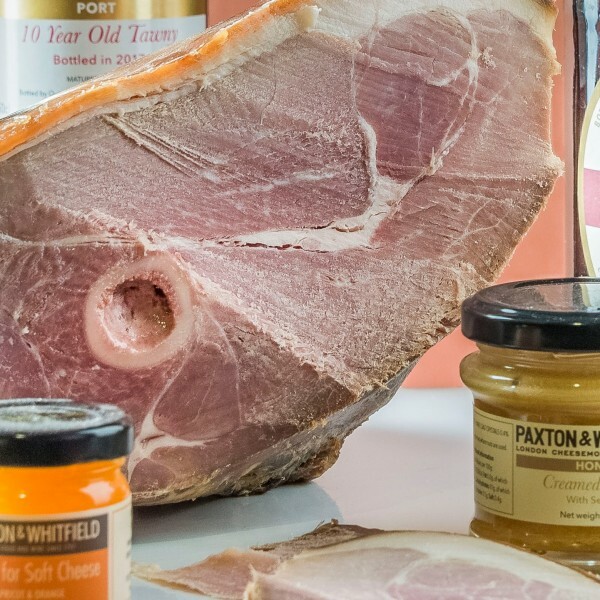 The York is the quintessential English Ham. Dry cured and matured over a period of at least ten weeks, it develops a wonderful depth of flavour and a firm yet succulent texture. The curing process means that the York is somewhat drier and saltier than the Wiltshire.